The European Society of Intensive Care Medicine celebrates its 25th anniversary in 2007. To mark the anniversary ESICM members and guests have contributed to a book, summarising 25 years of progress and innovation in the field of intensive care medicine and highlighting the future expected major issues for the years to come... ; Over 25 years ago, a group of intensive care physicians felt that a European Society of Intensive Care Medicine (ESICM) would be helpful as a framework to facilitate research, training and teaching throughout the different countries of Europe and also from further afield. ; Accordingly, they founded our Society on 13 May 1982 in the headquarters of the World Health Organization in Geneva, Switzerland. Today we have a large society of active members from all the continents in the world and are looking forward to our 20th Annual Congress to be held in Berlin, Germany in October 2007. Thousands of intensive care providers, many of whom are our members, will meet under the motto ‘25 years of progress and innovation’. 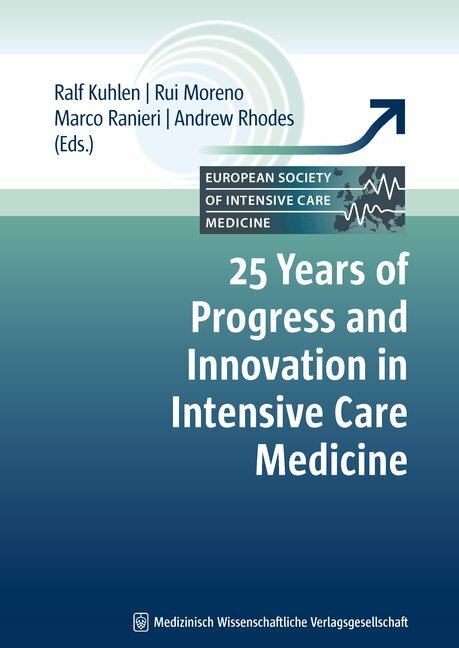 ; On the occasion of these anniversaries it is an honour and a genuine pleasure for us to present this book under the same title: 25 Years of Progress and Innovation in Intensive Care Medicine.